Go bananas by celebrating with your favorite despicable, mischievous Minions with the Official DESPICABLE ME 15' x 15' bounce house rental. It has plenty of space for kids to bounce, hop, skip, and jump to their heart's content. 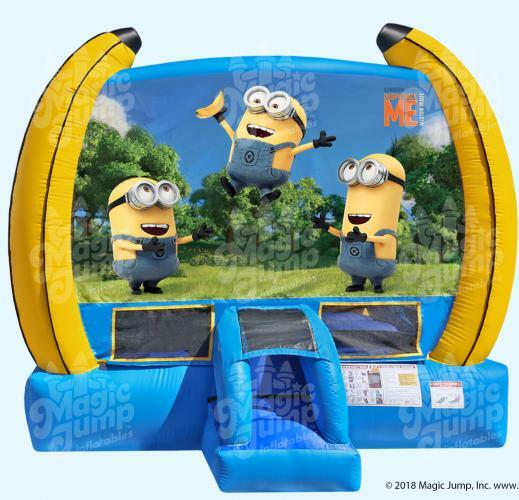 The DESPICABLE ME bounce house is designed with fully licensed digital artwork and front vertical pillars that reflect the Minions’ love of bananas. It is an anything but despicable ride that is suitable for all occasions.